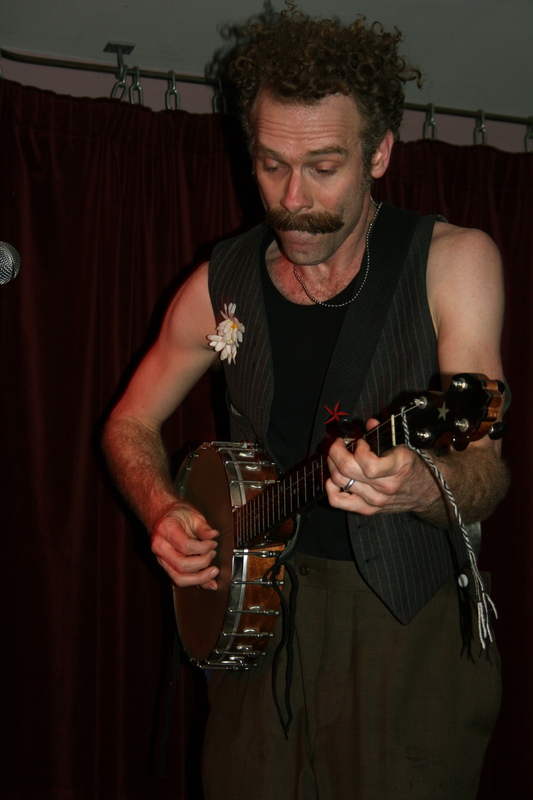 Curtis Eller just completed his tour through the UK and we are sad to see him go. Nursing laryngitis while giving back-to-back performances in a different city every night, he draws from a seemingly overabundant sense of professionalism and talent. Unstoppable, he rushes back to the stage to gulp down doses of honey in order to get through the next song. He manages, through all of this, to elicit genuine laughter from the audience. “Excuse me, but this is a little disgusting,” he exclaims, just before throwing his head back and dowsing his throat with honey from the bottle he squeezes into his mouth. Then he’s back in the middle of the audience, belting out his best songs. Eller isn’t just a singer/songwriter/banjo player/yodeler (as if that isn’t enough). Other than these impressive skills, he is also a bonafide comedian. Singing a song about coal mining he stops mid-note to offer the audience another of his witticisms. His humour may be one of the reasons why the artist is so popular amongst Brits, who undoubtedly appreciate Eller’s dry, irony so reminiscent of British comedy. Eller stuck to old favourites that were easier on his aching throat. But no one was disappointed, especially not his loyal fans who faithfully sang the chorus at Eller’s command. Green Note is a small venue, but the intimacy of the place is perfect for performers like Eller whose interaction with the audience is such a delightful part of the show. 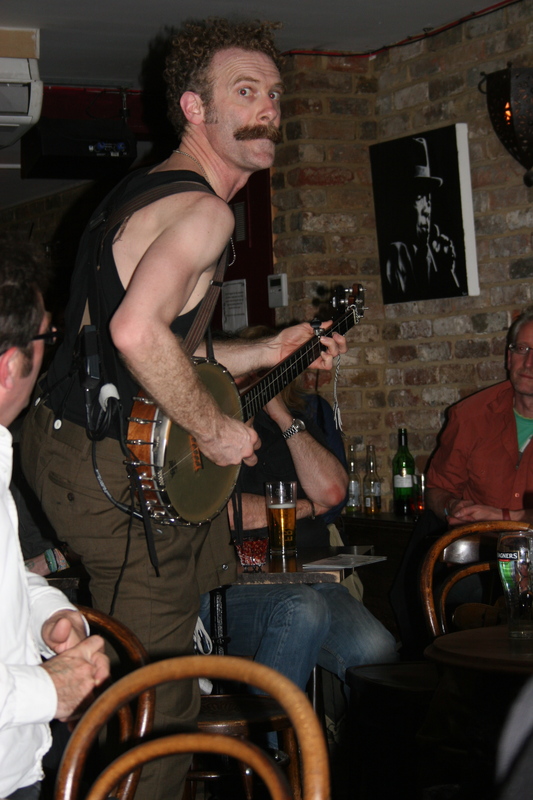 The audience laughed gleefully as he randomly blew out candles on tables, climbed atop chairs and chased waitresses and audience members while playing the banjo behind them. Slightly ill, he may have been, but lacking in entertainment value Eller was not. As energetic as ever, there was not a corner of Green Note the singer did not dance, run or play his way through. Yet, behind the fun, it is almost impossible not to notice a sort of awareness of his own cultural identity. Eller’s songs consistently remind us of the America that he sees, with all of its problems and promise. Never failing to deliver, Curtis Eller also reminds his audience that though he is a performance artist, he is also a teacher. And though the attendees of his class may be willing students, his lessons about “Robert Moses” and others acts as a reaffirmation of his hope that America may someday be a better place. He ends the show as he begins, with another witty joke, a knowing shake of his head, his honey in one hand and his banjo in the other. Your vivid descriptions of events remind me of American writer Thomas Wolf. I thoroughly enjoy my vicarious travels and attendance of various functions. Thanks! keep it coming.